Draft: 2008, Atlanta Braves, 3rd rd. Full name is Craig Michael Kimbrel. Signed by Brian Bridges (Braves). Married to Ashley...The couple had their 1st child, Lydia Joy, in November 2017. Attended Wallace State (AL) Community College...Graduated from Lee High School in Huntsville, AL. Earned the 2017 Mariano Rivera AL Reliever of the Year Award...Also named to his 6th All-Star Game...Finished 6th in AL Cy Young Award voting with 27 points, earning six 3rd-place votes, two 4th-place votes, and five 5th-place votes. Earned the Boston Baseball Writers' Red Sox Fireman of the Year Award. The Sox were 60-7 (.896) in games in which he pitched, including 29-2 (.935) on the road. Led ML relievers in WHIP (0.68) and SO/9.0 IP (16.43) and finished tied with MIL's Corey Knebel in SO (126)... Led AL relievers in ERA (1.43) and was 2nd in both SO/BB ratio (9.00) and opponent AVG (.140). Struck out 126 of 254 batters faced (49.6%), the highest single-season rate ever for a Red Sox pitcher. Posted a career-best 9.00 SO/BB ratio (126 SO/14 BB) and a career-low 1.83 BB/9.0 IP rate (69.0 IP). Struck out all 3 batters faced in a perfect inning 10 times, the 2nd-most such innings in the majors behind CLE's Corey Kluber (11 times in 203.2 IP)...Does not include a 4-SO inning on 5/25 vs. TEX. Did not allow a base runner in 33 of his 67 outings. Held righties hitless in their first 47 AB of the season against him before BAL's Mark Trumbo singled on 6/3 at BAL, Kimbrel's 23rd appearance of the year. In 29 appearances vs. the AL East, posted a 1.47 ERA (5 ER/30.2 IP)...Includes 9.0 near-perfect IP vs. TB (28 batters faced, 0 hits, 1 BB, 23 SO, 0.11 WHIP). Recorded 3 saves of more than 1.0 IP, a new single-season career high (5/30 at CWS, 6/3 at BAL, 6/6 at NYY - all 1.1 IP). Posted a season-best 16.1-inning scoreless streak that began in his 2nd inning of work on 4/20 at TOR and lasted through his appearance on 5/31 at CWS. Had a streak of 25 consecutive saves converted snapped when he blew a save-but earned the win-on 4/20 at TOR (streak began 5/28/16). Converted 17 consecutive save chances from 4/23-6/30, the 2nd-longest streak among AL relievers in 2017 behind TOR's Roberto Osuna (22). Named AL Reliever of the Month for May, when he allowed 0 runs and only 1 hit in 12 appearances (12.2 IP, 1 BB, 25 SO, 1-for-40)...Was 7-for-7 in save chances. Recorded an immaculate inning (3 SO in 1.0 IP on 9 pitches) on 5/11 at MIL...Got the final 2 outs of the 8th inning to preserve a 1-1 tie, then followed a Red Sox 3-run top of the 9th with the immaculate inning. Recorded his 2nd career 4-SO inning on 5/25 vs. TEX (also 9/26/12 vs. MIA)...Became the 2nd BOS pitcher to do so along with Tim Wakefield (8/10/99 at KC). Those 4 SO on 5/25 were the final 4 of a 20-SO performance by the Red Sox that day, tying a single-game ML record for a 9-inning game. Established a record for consecutive saves converted at Fenway Park with his 30th on 6/26 vs. MIN...Streak included his 1st career save with ATL in 2012... Blew his 1st save at Fenway on 7/15 vs. NYY...The save on 6/26 was also the 1st of his career against the Twins, giving him at least 1 for his career against all 30 teams in MLB. Named to the AL All-Star team via the player ballot...Earned the win for the AL after throwing a scoreless 9th inning with 2 BB and 2 SO on 7/11 at MIA. Became the 5th BOS pitcher ever to earn the win in an All-Star Game. POSTSEASON: Made 2 appearances for the Red Sox in the ALDS vs. HOU...Threw a scoreless 8th inning in Game 2 at HOU...In Game 4 at Fenway, allowed 1 ER on 3 hits and 1 BB. Named to his 5th All-Star Game in his 1st season with the Red Sox...Led AL relievers with a .152 opponent AVG (28-for-184)...Only LAD's Kenley Jansen had a lower mark (.150) in the majors. Named Red Sox Fireman of the Year by the Boston chapter of the BBWAA. Averaged 14.09 SO/9.0 IP (83 SO/53.0 IP), the 4th-highest mark among ML relievers. Recorded 31 saves in 33 chances...Ranked 3rd in the majors in save percentage (93.9) and 8th in the AL in saves. Posted a 1.09 ERA (4 ER/33.0 IP) with a .109 opponent AVG (12-for-110) in 33 save chances...Had a 7.20 ERA (16 ER/20.0 IP) with a .216 opponent AVG (16-for-74) in 24 non-save chances. Was a perfect 16-for-16 in save chances at Fenway Park. Made 4 appearances in which he struck out each batter he faced and earned a save...Had 3 SO on 4/13 vs. BAL, 4/16 vs. TOR, and 6/19 vs. SEA...Tied his career high with 4 SO in a 1.1-inning save on 9/17 vs. NYY. Held lefties to a .145 AVG (12-for-83) and righties to a .158 AVG (16-for-101)...Allowed 2 HR to LHH, but none over his final 42 games (89 batters faced). Earned his 1st Red Sox save in the club's come-from-behind victory on 4/8 at TOR. Recorded 0 SO in 1.0 IP on 4/19 vs. TB, snapping a career-best 27-game streak with at least 1 SO (began 7/30/15). Named to his 5th All-Star team as AL manager Ned Yost's selection...Did not participate due to injury. Was on the disabled list with a left knee medial meniscus tear from 7/9-31, his 1st career DL stint...Had left knee arthroscopy and partial medial menisectomy surgery performed by Dr. David Altchek on 7/11 at the Hospital for Special Surgery in New York City. Made 1 rehab appearance for Triple-A Pawtucket on 7/30 vs. Scranton/Wilkes-Barre (0.1 IP, H, HBP). Was returned from his rehab assignment and activated from the DL on 8/1, earning the save in the Sox' 2-1 victory that night at SEA (1.0 IP, BB, 3 SO)...The appearance marked exactly 3 weeks after his knee surgery. Made 23 appearances after coming back from knee surgery and was 1-3, 3.15 ERA (7 ER/20.0 IP) with 15 BB, 33 SO, and a .106 opponent AVG (7-for-66)...Converted all 14 of his save opportunities in that span. Over his final 11 appearances of the season (beginning 9/7), held opponents to a .074 AVG (2-for-27). Recorded the 250th save of his career on 9/11 at TOR...Became the 35th pitcher in ML history to reach that many saves since it became a statistic in 1969...Did so in his 275th opportunity. Earned his 30th save of the year on 9/24 at TB, marking his 6th consecutive season with 30+ saves. Ended the season converting each of his final 19 save chances of the year...At season's end, was the 2nd-longest active save streak behind BAL's Zach Britton. POSTSEASON: Retired all 4 batters faced in the postseason (3 SO), appearing in Games 2 and 3 of the ALDS. Posted a 2.58 ERA and recorded 39 saves in 61 appearances, all for the Padres...Began the year in the ATL organization, but was traded to SD as part of a 6-player deal on 4/5. Among NL relievers, finished 3rd in SO/9.0 IP (13.2), 4th in saves, T-4th in SO (87), 7th in opponent AVG (.185), and 9th in save percentage (90.7). His 13.2 SO/9.0 IP ratio (87 SO/59.1 IP) was the best ever for a Padres reliever in a single season, besting Rudy Seanez' 12.5 average in 2005. Was traded from ATL to SD along with OF Melvin Upton Jr. in exchange for OF's Cameron Maybin, Carlos Quentin, and Jordan Paroubeck, and RHP Matt Wisler on 4/5, the day before the season opener. Made Padres debut on 4/7 at LAD, throwing a scoreless 9th inning in the club's 7-3 victory. Allowed no runs in 46 of his 61 appearances (75%), which included each of his first 6 games of the year (6.0 IP). Over an 11-game stretch from 4/18-5/19, allowed 10 ER in 9.2 IP (9.31 ERA), taking his season ERA from 0.00 on 4/17 to 5.74 on 5/19. 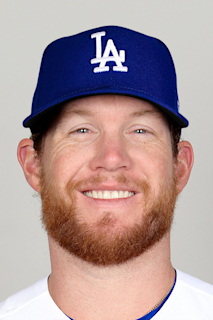 In his 44 appearances from 5/20 through the remainder of the season, posted a 1.44 ERA (7 ER/43.2 IP) with a .155 opponent AVG (24-for-155) and a 0.94 WHIP (24 hits)...Among all NL pitchers with a minimum of 40.0 IP in that span, his .155 AVG ranked 2nd and his 1.44 ERA ranked 4th. Recorded the 200th save of his ML career in what was his 318th career ML appearance, 6/8 vs. ATL... Became the fastest pitcher to do so in terms of games in ML history, besting Jonathan Papelbon (359 games), the previous record holder, by 41 games. Became the 2nd-youngest pitcher to record 200 saves in ML history at 27 years old and 11 days, trailing only Francisco Rodriguez (26 years, 239 days old). Recorded at least 1 SO in 21 consecutive games from 5/2-6/26 (34 SO in 20.1 IP)...The 21-game streak was tied for the 2nd-longest streak in Padres history, trailing Trevor Hoffman's 26-game run...Ended the season with a SO in each of his final 20 games of the season (32 SO in 20.0 IP). Converted a save in 14 consecutive appearances from 6/18-7/30...Saved 11 of the Padres' 13 wins in the month of July. Matched his career high with 4 wins (also 2010 and 2011). Led the National League and ranked second in the Majors with 47 saves, as he converted 47-of-51 save opportunities (92.2%), in his fourth Major League season...Recorded a 1.61 ERA (11 ER/61.2 IP), while striking out 95 batters in 61.2 innings pitched over 63 appearances. Held opposing hitters to a .142 batting average...Broke the Braves franchise record with his 155th career rescue on 6/6 at ARI in his 16th save of the season, passing Hall of Famer John Smoltz's previous record of 154...Earned the 150th save of his career on 5/18 at STL at 25 years, 355 days, becoming the youngest pitcher in Major League history to reach the 150 rescue mark...Converted his final 26 save opportunities, from 6/24 through the end of the season. Over the 32-game span, he pitched at a 0.84 ERA with 43 strikeouts in 32.1 innings, while allowing just 14 hits (.131 opponents' batting average). His last blown save of the season on came on 6/20...Tossed a 1-2-3 ninth inning with three strikeouts on 7/28. It marked the 26th time in his career that he faced three-plus batter in an inning and struck out every batter (had a four-strikeout inning on 9/26/12 vs. MIA)...Worked more than 1.0 inning on three occasions: 6/6 at ARI (1.1 IP, 1 K) and 7/10 at NYM (1.1 IP, 1 K) and converted a save in each of those outings. Also, 8/2 (1.1 IP, 2 H, 1 R, 1 ER, 3 BB, 3 K) when he suffered his third loss of the season...Pitched at a 1.03 ERA in 36 games (29 saves) at Turner Field. His ERA in 27 games (20 saves) away from Turner Field was 2.36...Allowed just two home runs on the season, 6/20 at WSH (loss) and 9/10 at WSH (no-decision)...Was selected to his fourth consecutive All-Star team. Struck out three of his four batters faced in 1.0 score less inning (he pitched the seventh inning). Put together a historic season in his third full year in the majors, as he led National League relievers in ERA (1.21) and saves (50), while ranking fourth in strikeouts with 98. Finished fourth in voting for the National League Cy Young Award. His career-high 50 saves tied for the Major-League lead with BAL's Jim Johnson. Became the youngest player (25 years old) in Major League history to reach the 50-save plateau in a season with his 50th rescue on 9/27 vs. PHI. Became the second-youngest pitcher in Major League history to record 100 career saves (#100, 5/9 at SF). Became the second player in Braves history to record at least 50 saves in a season. John Smoltz established the record with 55 in 2002. Converted his 20th save on June 19 vs. NYM to become the first pitcher in Braves history to begin his career with three straight seasons of 20+ saves. With his 40th save on 7/24, became first pitcher in Major League history with 40+ saves in each of his first three seasons. Converted a franchise-record 37 consecutive save opportunities from 5/9-9/14. During the 37-game stretch, he allowed two runs (0.38 ERA) and 23 hits in 47 outings (47.1 IP), while striking out 68 batters. Was named Major League Baseball's Delivery Man of the Month for August after converting 12-of-12 save opportunities, while striking out 19 over 16.1 IP. It was the third time in his career to win the award. Named to the National League All-Star team for the third straight year. Converted his first career postseason save by recording four outs over the eighth and ninth innings on 10/4 in Game 2 vs. LAD. It marked his third career four-out save and second on the season. Allowed a home run to SD's Chase Headley on 9/14, his first home run allowed in a span of 47 games (since 5/7 at CIN). Spanning an 11-appearance stretch, 4/24-5/24, he allowed five earned runs in 10.2 innings pitched for a 4.22 ERA. The five earned runs surrendered during those 11 games was more than half of the total number of earned runs he allowed in his other 57 appearances on the season which included 56.1 innings pitched and four earned runs for a 0.64 ERA. Signed a four-year contract (with an option for a fifth year) through the 2017 season on February 16, 2014. Converted 42-of-45 save opportunities while posting an ERA of 1.01 with 116 strikeouts and only 27 hits allowed in 62.2 innings pitched. Finished fifth in National League Cy Young Award voting and finished eighth in NL MVP voting (the highest finish of any pitcher). He became just the second Brave to post two 40-save seasons (John Smoltz, three times, 2002-04). Achieved several pitching feats that had never been accomplished by a modern Major League pitcher (min. 60.0 IP): his 16.7 strikeouts per nine innings (116 K/62.2 IP) was the highest in Major League history; posted a .126 opponents' batting average, the lowest since 1900; his .358 OPS was the lowest in the Expansion era; had a strikeouts-to-hits ratio of 4.3-to-1, the best single-season ratio in the live-ball era; recorded 42 saves, despite a span of 23 games in August (8/4-27) without a save opportunity. His 42 saves ranked tied for first (T3rd in MLB) in the National League (with STL's Jason Motte). Ranked second among NL relievers with 116 strikeouts. 107 of his last 170 outs recorded were via strikeout, including 91 of his last 141, dating to 5/20 (also had a strikeout/wild pitch on 6/13 & 9/26). On 7/20, he suffered his first blown save on the road. Went 22-for-23 in road game save opps. Was named to his second consecutive All-Star team and used seven pitches to strike out his only two batters faced (Asdrubal Cabrera, Ian Kinsler). Suffered his first blown save on 5/2, before converting 20 straight chances with an .080 opponents' average (7-for-88), an 0.67 ERA (2 ER/27.0 IP) and 45 strikeouts in 27 games, from 5/3-7/19. Did not allow more than one hit in any of his appearances. Snapped his 17-game scoreless streak on 6/28 vs. ARI by allowing a home run to Chris Young. During that span (5/8-6/27), he held opponents to an .055 avg (3-for-55) while recording 31 K in 17.0 IP. Failed to strikeout a batter in 9/19's save (#38) at MIA. Had fanned at least one batter in 20 straight games since 7/19. Fanned at least one batter in 44 of his final 47 outings (since 5/20), with 92 strikeouts over that 46.2-inning stretch. In his 63 games, he struck out at least three batters 17 times. Fanned four batters in 1.0 IP for his 40th save on 9/26 vs. MIA. He became the fourth Braves pitcher (3rd reliever) to notch four strikeouts in 1.0 IP since the team moved to Atlanta in 1966 (Mark Wohlers, 6/7/95 vs. CHI; Paul Assenmacher, 8/22/89 vs. STL; Phil Niekro, 7/29/77 vs. PIT). Was named MLB Delivery Man of the Month for September after going 3-0 with a 0.00 ERA over 13 scoreless appearances. He converted 10-of-10 save opportunities and fanned 25 over 12.2 innings pitched. Was named to the provisional roster of Team USA for the 2013 World Baseball Classic. Tossed 1.0 perfect inning in Wild Card Game vs. STL on 10/5 while fanning one. Had a stellar rookie season, recording a National-League-tying and rookie-record-setting 46 saves, en routeto being named the Baseball Writers' Association of America unanimous National League Rookie of theYear award winner...Received 32 first-place votes becoming the 10th unanimous BBWAA NL Jackie Robinson Rookie of theYear selection. Teammate 1B Freddie Freeman finished second in the voting, marking the third time thatNL teammates finished 1-2 in the voting...Became the sixth relief pitcher honored and it was the seventh time an Atlanta Brave was honored...Named the Sporting News National League Rookie of the Year. Was also named Sporting News' "First-HalfNational League Rookie of the Year" and earned a spot on Sporting News' National League All-Star team...Was Named Atlanta's "Professional Athlete of the Year" for 2011 by the Atlanta Sports Council...Was added to the National League All-Star roster on 7/10 in place of SF's Matt Cain. Kimbrel came on inrelief of teammate Jair Jurrjens with two outs in the seventh inning and retired one of his two batters facedto earn a hold in first All-Star game appearance...His 46 saves tied with MIL's John Axford for most in the National League and second in the Majors behindDET's Jose Valverde...Fanned 127 of his 306 batters faced (42%) leading all Major League relievers in strikeouts...Suffered his eighth blown save in the season's final game, 9/28 vs. PHI. Kimbrel allowed one earned runon one in the ninth inning, allowing PHI to tie the game at 3-3...Allowed a two-out solo homer to NYM's Lucas Duda on 9/18, his first home run allowed to a left-handedbatter this season. Allowed his first career home run to CIN's Ramon Hernandez on 5/27 vs. CIN...Snapped his scoreless innings streak at 37.2 IP (over 38 appearances) on 9/9 at STL. The streak was thelongest in the majors this season and was the fifth-longest in the majors since Orel Hershiser establishedthe MLB record of 59.1 IP in 1988. In that span, he allowed just 14 hits and issued only 11 walks, whilefanning 67 batters and went 25-for-25 in save opportunities...Named the National League's Rookie of the Month for August, going 10-for-10 in save opportunities andallowing no runs in 13 appearances (12.2 IP) while fanning 23 batters and allowing a .143 opponents battingaverage...With his 41st save on 8/31 vs. WSH, he passed Texas' Neftali Feliz (40, 2010) for the most saves by a MajorLeague rookie (since 1969)...With his 31st save on 7/22 at CIN, set the Atlanta rookie record for most rescues in a season. The previousrecord was held by Kerry Ligtenberg, who had 30 in 1998...Tossed a scoreless ninth inning on 7/9 at PHI to record his 28th save, extending his own record for mostsaves for a Major League rookie before the All-Star break (since 1969)...His 17th save, recorded 6/3 at NYM, set the NL rookie record for most saves prior to the All-Star break...Became the quickest pitcher in Braves franchise history to reach 100 career strikeouts, doing so in 59.1IP. John Rocker (1998-99) held the previous mark by doing it in 70.0 IP...Named the National League's Rookie of the Month for June after going 1-0 with eight saves and a 1.53ERA in 14 appearances, with 25 strikeouts and just five walks in 14.0 IP. Put together a fine 2010 season, opening the year at Gwinnett (AAA) where he recorded a 1.62 ERA in 48relief appearances, including 23 saves, before a promotion to the majors for his first career appearance ona ML roster on 5/5...Appeared on the major league roster on four separate occasions with each transaction taking place withGWI. Promoted to the majors for the first time on 5/5; optioned 5/22: recalled 6/5; optioned 6/22: recalled8/27; optioned 8/29: recalled 9/7 for the remainder of the season...Posted a perfect 4-0 record with a 0.44 ERA in 21 appearances in relief for the major-league Club...In 20.2 innings pitched for the ML Club, recorded 40 strikeouts...Pitched in all four Division Series games going 0-1 with a 2.08 ERA and had seven strikeouts in 4.1 IP. Madescoreless outings in Games 1, 2 and 4. In Game three, gave up a one-out walk followed two batters laterby a two-out single - his only hit of the series - before being removed from the game. Both runs came aroundto score on a single and error, respectively...Made his major league debut 5/7 at PHI and allowed a 2B to the first batter he faced. (1.0 IP, 1 H, 2 K, 19 pitches)...Struck out the side in 9/19 at NYM for his first career save...Posted a 16.1 scoreless inning streak from 6/7-10/2...Garnered his first career victory 5/20 vs. CIN after tossing a scoreless ninth inning...At the time of his first call-up (5/5), had recorded six saves with a 1.20 ERA (15.0 IP/2 ER) and 21 strikeoutsfor GWI...With GWI, logged 83 strikeouts in 55.2 innings pitched for an average of 1.49 Ks per inning. Enters the 2010 season as the Braves' fifth-best prospect and as having the "Best Fastball" in all of Class A according to Baseball America...Was named the Phil Niekro Award winner, given annually to the top pitcher in the farm system...Had a fine sophomore season, playing at three different levels (A, AA and AAA). His 2009 season totals: 2-3 with 18 saves, 2.85 ERA (60.0 IP/19 ER), 103 strikeouts and 45 walks in 49 relief appearances...Was a perfect 18-for-18 in save opportunities, third-most among Braves farmhands...Struck out 103 batters in 60.0 IP, for an average of 1.72 per inning...Ranked second among all minor league relievers with 15.45 strikeouts per nine innings and was seventh (first among Braves minor league relievers) with a .150 opponents average...Placed in the top ten in several categories among Braves farmhands including games (T3rd, 39), relievers ERA (8th-2.85) and strikeouts (9th-103)...Struggled in his first six outings (all with MB) of the season, 4/9-22, allowing 12 earned runs in 7.2 IP (14.09 ERA). Without those six outings, his ERA for the season would have been 1.20 (52.1 IP/7 ER). Also, over his final 37 appearances, from 5/14-9/6, allowed an earned run in just three app. (0.60, 45.1 IP/3 ER)...Converted seven-of-seven save opportunities and pitched at a 1.42 ERA (12.2 IP/2 ER) while recording 26 strikeouts compared to three walks en route to being named Rome's Player of the Month for May...Despite playing in only 16 games with Rome, ranked second on the club with 10 saves...Was tabbed an Arizona Fall League "Rising Star" by Baseball America...Made 11 relief appearances totaling 10.1 IP (10.45 ERA) for Peoria Saguaros of the AFL. Following the season, rated by Baseball America as having the "Best Fastball" and as the 10th-bestprospect in the Atlanta organization...Posted a combined 3-2-10 record with a 0.51 ERA and 56 strikeouts in25.1 IP in first professional season...Held opponents to a .131 average at the three stops...Ranked tied forfifth among Braves minor league relievers with 10 saves...Named Rome's August Pitcher of the Month (2-0-3,0.87 ERA, 10.1 IP, 21 K)...Opened the season at rookie-level Danville (6/18-7/25) and started his career withfour saves in four consecutive appearances and a win in his fifth appearance before suffering his first loss...In12 games with DAN, converted 6-of-7 save opportunities and earned one win while holding opponents to a.076 batting average. October 29, 2018 RHP Craig Kimbrel elected free agency. August 1, 2016 Boston Red Sox activated RHP Craig Kimbrel from the 15-day disabled list. July 30, 2016 Boston Red Sox sent RHP Craig Kimbrel on a rehab assignment to Pawtucket Red Sox. July 9, 2016 Boston Red Sox placed RHP Craig Kimbrel on the 15-day disabled list retroactive to July 7, 2016. Left knee medial meniscus tear. November 13, 2015 San Diego Padres traded RHP Craig Kimbrel to Boston Red Sox for 3B Carlos Asuaje, SS Javier Guerra, LHP Logan Allen and CF Manuel Margot. April 5, 2015 Atlanta Braves traded RHP Craig Kimbrel and Melvin Upton Jr. to San Diego Padres for CF Cameron Maybin, LF Carlos Quentin, LF Jordan Paroubeck and RHP Matt Wisler. September 7, 2010 Atlanta Braves recalled Craig Kimbrel from Gwinnett Braves. August 29, 2010 Atlanta Braves optioned Craig Kimbrel to Gwinnett Braves. August 28, 2010 Atlanta Braves reassigned RHP Craig Kimbrel to the minor leagues. August 27, 2010 Atlanta Braves recalled Craig Kimbrel from Gwinnett Braves. June 22, 2010 Atlanta Braves optioned Craig Kimbrel to Gwinnett Braves. June 4, 2010 Atlanta Braves recalled Craig Kimbrel from Gwinnett Braves. May 22, 2010 Atlanta Braves optioned Craig Kimbrel to Gwinnett Braves. May 5, 2010 Atlanta Braves selected the contract of Craig Kimbrel from Gwinnett Braves. February 17, 2010 Atlanta Braves invited non-roster RHP Craig Kimbrel to spring training. September 2, 2009 Craig Kimbrel assigned to Gwinnett Braves from Mississippi Braves. July 31, 2009 Craig Kimbrel assigned to Mississippi Braves from Myrtle Beach Pelicans. June 25, 2009 Craig Kimbrel assigned to Myrtle Beach Pelicans from Rome Braves. May 2, 2009 Craig Kimbrel assigned to Rome Braves from Myrtle Beach Pelicans.